Phlox paniculata Top Shelf 'Watermelon Punch'. Large 1.5" overlapping salmon-pink petals around a distinct white center. 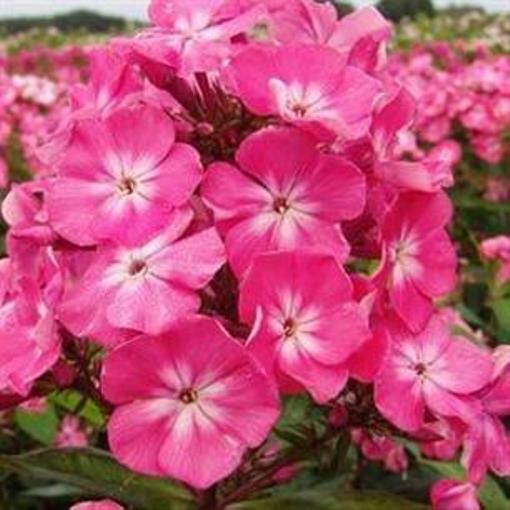 The sweet smelling flowers on strong thick stems last up to 10 days in a vase. Dark green foliage. A Darwin Perennials Cocktail Series introduction. PP#19610.